After winning its two Throwback Weekend games, the men's basketball team is on a five-game winning streak and sits third in the conference. Brandeis University and New York University (NYU) came into Adelbert Gymnasium with the fire of revenge burning inside of them. Instead of enjoying the sweet taste of revenge, they left with the bitter taste of defeat, all thanks to the Case Western Reserve University men’s basketball team. 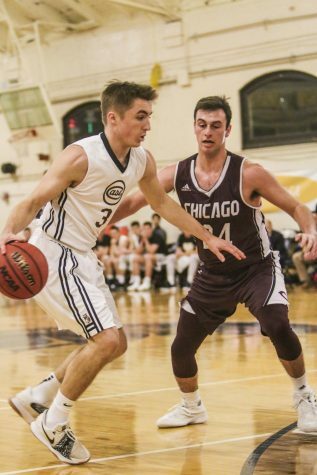 The Spartans won a home-and-home series against these two teams, beating Brandeis 69-64 on Friday, Feb. 2 and NYU 73-57 on Sunday, Feb. 4 during Throwback Weekend. The Spartans faced a tough matchup against Brandeis, as the Judges put up a fight. 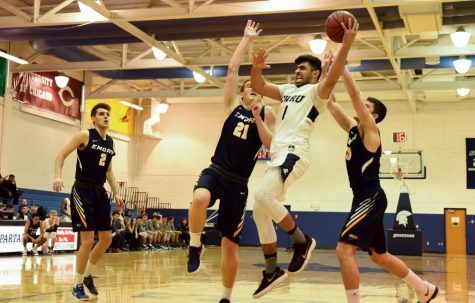 The Spartans fell into an early 10-4 deficit four minutes into the first half, but they rebounded with a 9-2 run that was capped off by second-year guard Monty Khela’s 3-pointer with 12 minutes left to play in the first half. Brandeis, however, went on a 13-0 run to take a 25-13 lead with seven minutes left in the first half. Khela’s five points and fourth-year forward T.J. Duckett’s four points in a three-minute stretch helped to cut into that lead, with the Judges going into halftime with just a three-point advantage. CWRU took their first lead on back-to-back baskets by second-year forward Michael Hollis and Duckett early in the second half. 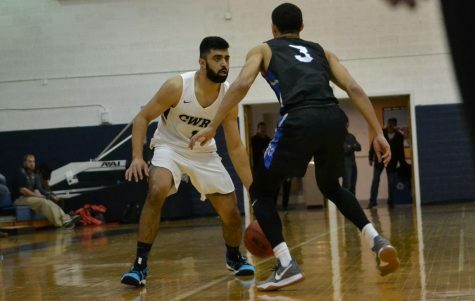 First-year guard Michael Volkening drained a 3-pointer two minutes into the second half, which gave CWRU a lead that they would hold for the next 13 minutes. Brandeis came back with five minutes left in the game to tie it at 55. 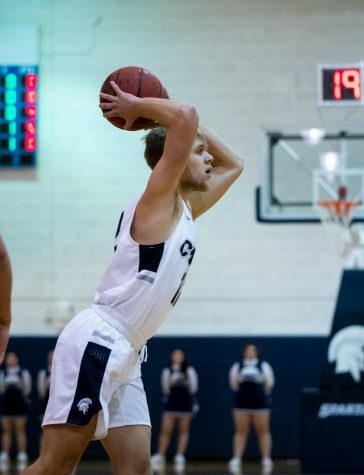 The Spartans went on a run of their own with a layup by Khela and back-to-back 3-pointers from second-year guard Sam Hansen and first-year guard Antonio Ionadi to give the team an eight-point lead. CWRU did end up putting the game away, winning 69-64. Compared to the Brandeis game, the matchup against NYU was a much easier battle. The Spartans led the entire game due to better defense and rebounding, according to Head Coach Todd McGuinness. 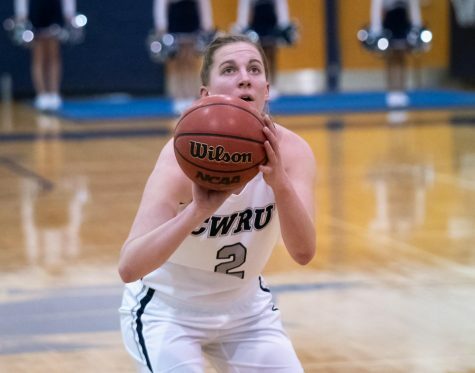 CWRU started off the game with a 4-0 lead on back-to-back layups by Duckett, which then was extended to a 16-8 lead seven minutes into the first half. The team kept maintaining the lead until back-to-back 3-pointers by the Violets cut the lead to two points with eight minutes left in the first half. Regardless, the team extended the lead before halftime to 29-24. 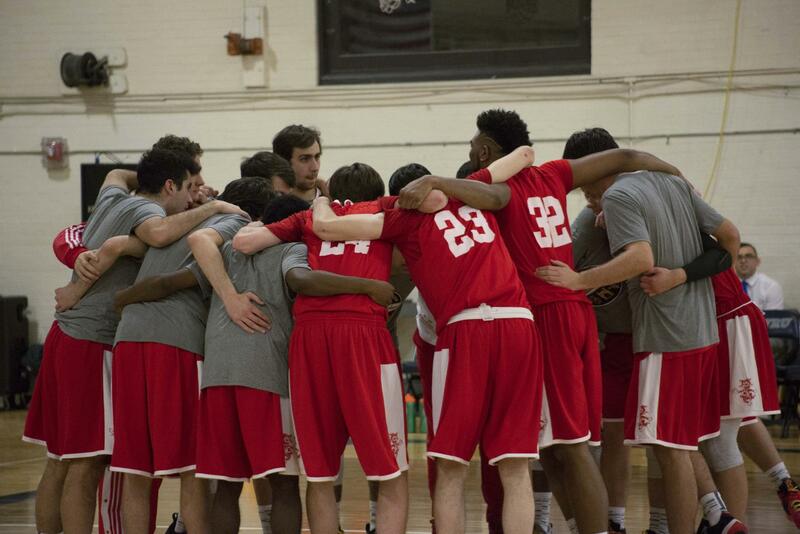 In the second half, the Spartans led 33-29 when they went on a 15-2 run, capped by 3-pointers from Ionadi, Khela and second-year forward Connor Nally to take a 17-point lead. A layup by Hollis put CWRU up 25 with 10 minutes left in the second half. 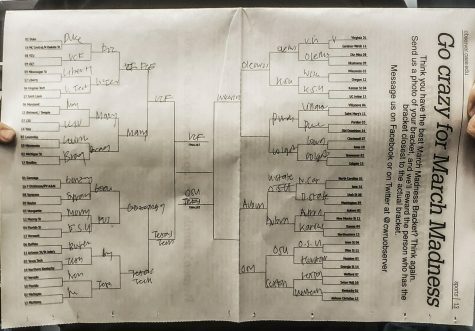 The team ultimately won 73-57. 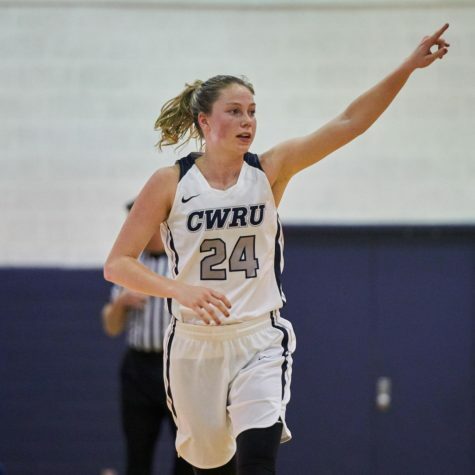 CWRU finished the week with two wins and is currently on a five-game winning streak, bringing their season record to 12-8 with a 6-3 mark in the UAA. The team will close out the home portion of its 2017-2018 campaign with matchups against the University of Rochester on Friday, Feb. 9 at 8 p.m. and No. 13 Emory University on Sunday, Feb. 11 at 11 a.m.